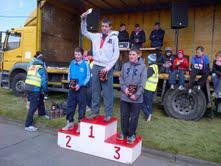 Congratulations to Aaron Desmond who came 2nd in the Warrior Kidz Duathlon in Shannon on March 30th. The duathlon was a great event with 70 warriors taking part. 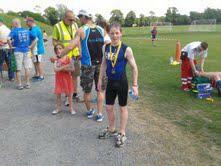 The 14-15 age group race course consisted of a 2km run, 10.3km bike and a 1.5km run – well done Aaron!! Over 80 children took part in the second aquathlon event hosted by Limerick Triathlon Club on Saturday June 8th in the University of Limerick. The event was held in glorious sunshine with a large crowd of spectators and a great family atmosphere. Children as young as 7 years took part with 4 age categories catering for the entire field. The 14-15 year age group swam 300m and ran 3km in very hot conditions. The boys event was won by James Mintern who lead the field out of the swim and had a comfortable win. James, the brother of TI Junior Squad Member Chris Mintern has a very bright future ahead of him. Well done James! !